An auditor is a professional who provides professional services such as accounting, auditing and assurance, financial consultancy etc. to its clients which includes individuals, firms, companies or any other body corporate or entity. The audit function of an auditor includes obtaining sufficient and appropriate audit evidences by applying substantive and analytical audit procedures and issuing an audit opinion on the basis of audit evidences about whether the financial statements and financial transactions of the entity are true and fair in a way that that they are free from frauds, errors and material misstatements and reflect true picture of the financial position of the entity and risks associated with it. While performing the duties and responsibilities the auditor shall adhere to the principles of auditing and accounting and comply with the legislations and regulations. Global financial crisis refers to as the situation in the world economic and financial market which represents the downfall of the markets and recession in the economy due to failure of financial transactions and excessive risks in the financial markets. The case study of Lehman Brothers is one of the reason where the negligence and default on the part of auditor resulted on the bankruptcy of the company on one hand and financial crisis in the financial markets throughout the economies in the world on the other hand. The facts of the case broadly relates to presentation of Repurchase arrangements 105 and 108 by the entity as outright sales of securities rather than secured borrowings which reduced the debt equity ratio and leverage of the entity resulting in assumption of lesser risks than actual by the users of financial information. Auditors are the professional advisors for an entity who owe professional duty and responsibility towards the entity they are serving or auditing. This including performing their duties in accordance with skills and competence possessed by the auditor, applying his professional judgement and using his professional scepticism to make decisions which may be relevant for his audit. It also includes compliance with the legal and regulatory framework applicable on such entity such as International Financial Reporting Standards along with generally accepted accounting principles and auditing standards. This duty of an auditor comes with the accountability which requires compensation for loss due to the negligence of auditor or takes which are not performed by him as per the standards. However the preparation of financial statements without frauds and errors is the responsibility of management of a company and not the auditor. 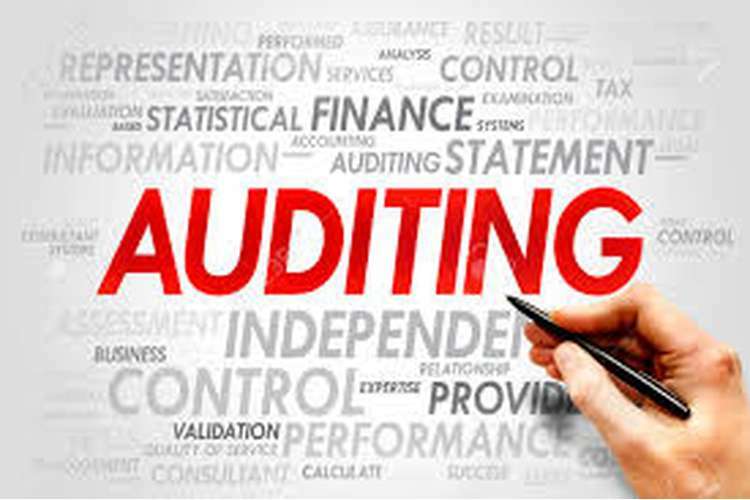 However an auditor shall also ensure his independence while using his professional judgement and knowledge and skills during the decision making with regards to audit procedures. The audit function only involves general assurance and not the guarantee that the financial statements are free from errors and frauds in accordance with sufficient and appropriate audit evidence obtained by him during the audit procedures. Association of Chartered Certified Accountants (ACCA) also believes that in case of joint and several liabilities of auditors the entity or person who claims to suffer the loss has the right to sue all the parties that have caused the loss (Bigus, 2011). After the bankruptcy of giants in the world financial market such as Worldcom and Enron, Lehman filed its bankruptcy on 15th September 2008 when it was the fourth largest investment bank of USA. The bankruptcy was filed with $639 billion in assets and $613 billion in debts making it the largest filed bankruptcy in history due to higher value of its assets as compared to other bankruptcy cases. The causes of the crisis apart from defaults of Lehman include the impact of financial crisis caused in the global financial markets in 2008 induced by US subprime mortgage and the housing crisis. This resulted in erosion of market capitalization of around $10 trillion from the equity markets in October 2008 (Jay, 2015). Inspired by the US housing boom, Lehman acquired five mortgage lenders in 2003 and 2004, based on the recorded revenues from the real estate business of the company with a growth rate of 56% from 2004 to 2006. The firm also securitized mortgages of $146 billion in 2006. At the start of 2007 the market capitalization of Lehman increased but after the subprime mortgage defaults and housing markets recession in US, the stock face biggest one day drop in last five years affecting the profitability of Lehman. The shares started to fell and the high degree of leverage reported to be 31 in 2007 and huge portfolio of mortgage securities made Lehman vulnerable to the collapsing market conditions. When Lehman was left with only $1 million in cash an unsuccessful attempt of takeover of Lehman by Barclays Plc and Bank of America Corporation, the firm declared bankruptcy resulting in fall in its stock by 93% from its previous close. Lehman engaged in the repurchase arrangements for obtain short term loans against the firm owned securities as collateral. Although the repos are structured as the immediate sales of securities but they are in substance secured borrowings and not the sales and later reacquisition. The US accounting standards require reporting substance over form for such transactions. Lehman convinced the auditors that since the repurchased arrangements were over collateralized being 108% of those backed by debt instruments and 105% of those backed by equities, therefore the transaction relates to sales resulting in an economic benefit for the firm rather than loss as a result of the event of repurchase arrangements. Lehman used the proceeds to p [ay unrelated liabilities and by reporting the sales as secured borrowi8ngs it reduced its debt equity ratio, leverage and presented less risk than the actual. It provided it the capability to borrow at reasonable rates and engage itself in financial transactions when in reality it was close to being bankrupt and unable to fulfil commitments. The auditors of Lehman, Ernst & Young must have used their professional scepticism in determining the correctness of the logic given by the management of Lehman regarding the over-collateralization of repurchase arrangements and the fact that the repurchase arrangements were in fact secured borrowings rather than outright sales must have reported by them. Instead the auditors held that the repos are in compliance with the US accounting standards. The substance over form shall be essentially recognised for the complex transactions and shall be properly accounted for and disclosed in the financial statements for the users of financial statements (Bris, 2010). The bankruptcy of Lehman Brothers announced in September 2008 resulted in the collapse of housing market as well as stock market. The government of countries throughout the world struggled to rescue the financial investors from the fallout of the capital and financial markets. The people started to invest huge amounts in gods, bonds rather than housing or market by the end of 2008. Also the Euro currency was considered as safer investment. However the government of US proposed a $700 million rescue plan to face the global crisis but it was failed subsequently due to reason of high amount of taxpayer invested. Mark to market accounting - The regulatory requirements issued by the regulating bodies of financial markets such as Securities Exchange Commission and Financial Accounting Standards Board related to public companies for valuation of their assets at market value rather than its historical cost is the practice which induced every bank towards insolvency. Classification of subprime securities as investment grade - The rating agencies including Standard & Poor’s, Fitch and Moody’s classified subprime securities as investment grades in relation to the credit rating assigned to companies, since these rating agencies were paid on the basis of rate of securities. This resulted in false disclosure of competence of companies and as a result the economy and capital market became prey of financial crisis (Oldani, 2016). Fraud – Many firms and financiers intentionally sold mortgage backed securities to institutional investors such as insurance companies, pension funds, university endowments, sovereign wealth funds etc. Thus the financiers were indulged in fraudulent transactions. The owners of real estate earned profits by swapping the properties; mortgage holders strived to increase loan volumes and bankers used to pay high amounts of money in order to securitize the subprime securities which were toxic for the investors as well as the markets. Off balance sheet risks – Some risks such as residual liabilities and collaterals risk were not reflected in the balance sheet of financial firms as a result of which the investors assumed fewer risks for the company than they actually were. As in the case study of Lehman brothers where the risk was quite high as reflected in the financial statements of the firm which resulted in its collapse and the global financial crisis. Damaged international monetary system – The imbalance of trade between the developed and undeveloped countries or developing countries resulted in the financial crisis all over the world. The export oriented countries succeeded in accumulating high amounts as in reserves in form of foreign currencies mainly including dollars and then the funds were again recycled to the financial system of US through circulation of money in the world capital market. In this way there was only the flow of capital rather than generation of capital or money (Caro, 2016). Auditors have a significant role to play in the world economy and regulation of financial markets since they are the examiners of financial statements and after obtaining sufficient and appropriate evidence about the internal control and financial transactions of an entity an auditor gives an opinion about whether the financial statements of the entity are free from frauds errors or material misstatements or not in compliance with the International Financial Reporting Standards and US GAAP. The users of financial statements as well as the stakeholders of the entities audit by the auditors, rarely on the opinion of the auditor completely to make decisions regarding the financial transactions proposed with such as entities particularly the investors and the financial institutions. Thus wrong audit opinion may result in wrong decisions which may be vulnerable to huge losses in the economy and movements of share prices in the global financial markets. Thus the use of professional scepticism and professional judgement is very important for an auditor while applying his skills and professional knowledge in performing the audit procedures. Under the global financial crisis the liability of auditor increases manifold since the external and internal pressure of legal, political and environmental forces also increases. The financial crisis as a result of auditor’s negligence creates the allegations on the profession and role of auditors and doubtfulness on the opinion issued by them. Thus in order to maintain the repute of the profession the auditor shall make efforts to apply professional scepticism in his audit and assurance services and shall recognise his role and responsibilities which contribute effectively to the prevention of world economy from recession and depression. As far as the case of Lehman Brothers is considered contributing to the global financial crisis largely, the inappropriate reporting of highly material transactions and miscalculations and misstatements in calculation of key financial ratios which were entirely relied upon by the stakeholders of the entity such as creditors, investors and customers for evaluation resulted in the assumption of less risk than actual and thus leading to the bankruptcy of company (Reffett, 2012). On the basis of analysis of the case study which relates to the global financial crisis caused as a result of collapse and bankruptcy of Lehman Brothers, it can be concluded that the auditor of an entity plays a crucial role in the establishment and sustainability of the financial position of the company in the market and the opinion of auditor with regards to the accuracy and appropriateness of financial statements in a sense that they present true and fair view of transactions of company is the basis of decision making for a large group of users of financial statements. Therefore any misrepresentation or inaccurate reporting can result in huge losses for large masses of people. From the case study of Lehman Brothers it can be concluded that the collapse of the entity was truly the default of auditors Ernst and young since they postponed their duty to comply with professional scepticism and did not disassociate themselves from the financial statements which presented lesser risks from debts than actual towards its Repos 105/108. Also it can be concluded that the auditors were convinnce4d by the logic given by the management of Lehman and the independence of auditors was compromised. Thus on an overall basis it can be concluded that the auditor shall exercise due professional judgement and professional scepticism so as to ensure that the financial reporting done by the entity reflects the true picture of its transactions as well as risks in order to rescue the world economy and global financial market from deep depression. Also it can be concluded that the negligence of auditor may result in huge penalties on him apart from disrepute to the auditor’s firm as in the case of Lehman Brothers Ernst & Young had to settle the claims for compensations at $99 million. On the basis of conclusions drawn from the analysis of global financial crisis and the liability of auditors in the Lehman Brothers case Sally Smith and other partners of the firm are recommended to strictly adhere to the auditing principles such as professional judgement, auditor independence, use of professional scepticism, use of due diligence and care, integrity and honesty and obtaining sufficient and appropriate audit evidence to reflect audit opinion about the true and fair view of financial reporting. The negligence of auditor and non-exercise of due professional care and scepticism Amy result in huge compensation and penalties in the form of liabilities for auditors. Also it is recommended that the auditor shall comply with the required financial reporting and accounting framework such as International Financial Reporting Standards and Generally Accepted Accounting and auditing principles and standards and other legislations and regulations. In case the auditor is unable to comply with the applicable framework or the independence of auditor is compromised he shall disassociate from the auditing services since sufficient and appropriate audit evidence cannot be obtained in such case. Giudici, P. 2012, "Auditors' Multi-Layered Liability Regime", European Business Organization Law Review, vol. 13, no. 4, pp. 501. Reffett, A., Brewster, B.E. & Ballou, B. 2012, "Comparing auditor versus non-auditor assessments of auditor liability: an experimental investigation of experts' versus lay evaluators judgments", Auditing: A Journal of Practice & Theory, vol. 31, no. 3, pp. 125. Corche?, R. 2012, "ASPECTS OF AUDITORS’ PERSONAL LIABILITY IN INSOLVENCY PROCEDURE", Contemporary Readings in Law and Social Justice, vol. 4, no. 1, pp. 420-425. Bigus, J. 2011, "Auditors’ liability with overcompensation and reputation losses", OR Spectrum, vol. 33, no. 2, pp. 287-307. Ciro, T. 2016, The Global Financial Crisis: Triggers, Responses and Aftermath, Taylor and Francis.